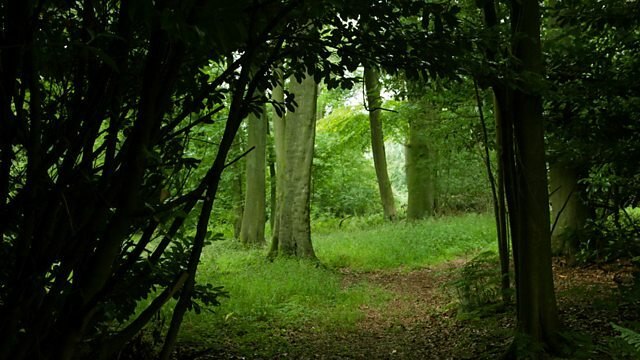 Helen Mark explores woodlands in Gloucestershire to see how they inspire children in play and how some are being used as an alternative to the classroom. Woodlands are often the setting for fairy stories but also for the creation of a new childhood game, a secret adventure or a new den and are cherished places. Helen Mark heads to Gloucestershire to see how children, large and small, share a love for the forest. In Berkeley she meets children from a 'forest school' where lessons are taken outside and children are taught to use axes and saws, to identify trees and create and build. While the children teach her how to get involved, she hears it's not just the children who've changed through freedom outside the classroom. Near Tetbury she meets James Shrives and his wife Debs who've crammed 1000 trees into an acre of garden space to create their own forest. The dense growth provides a sanctuary and draws in wildlife but will the pride they've taken in the growth make it heartbreaking to thin down the area? Finally she heads to the edge of Bristol where a council-managed forest at Ashton Court provides an escape for city-dwellers. She joins a group of friends to see how the wild space inspires them and if it can rival their computers and meets author Ingrid Skeels whose own alternative education led her to create St Cuthbert's Wild School for Boys.